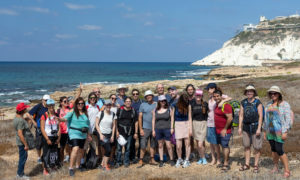 Visitors to Israel looking for an outing slightly more adventurous than another museum, archeological site or outdoor market can take advantage of the growing number of organized hiking groups. There is no shortage of organizations to help you hoof it into nature, whether you’re looking for a self-guided one-day trek or a 65-day chauffeured hike on the 1,100-kilometer (683-mile) Israel Trail. 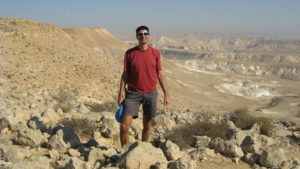 Israel by Foot, launched last year by Erez Speiser, is the latest go-to site for intrepid trekkers. The website offers free hiking resources as well as maps, GPS track files and Google Maps with coordinate links that you can download for $5 each, all in English. Speiser, a mechanical engineer by day, has added paid “inn-to-inn hikes” that include nights in local beds and breakfast and, optionally, a live local expert as a guide. Israel by Foot will initially offer a Trans-Galilee Trek that takes six days to meander from Safed to the Banyas River in the Golan Heights; an 80-mile hike along the Golan Trail; and the classic Israeli coming-of-age “Sea to Sea” hike starting at the Mediterranean and ending three days later at the Sea of Galilee. The Jerusalem Mosaic Hiking Club is more a social endeavor. The group, which has been hiking monthly for more than 25 years, welcomes visitors and Israeli residents alike. Some of Mosaic’s hikes are for the day; others include a Shabbat getaway. There’s usually a guide (and a fee) and members who can drive are asked to share in gasoline costs. 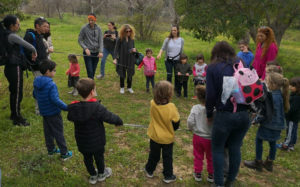 Italian-born immigrant Moshe Haiym Polacco runs the Mataylim be Sababa (roughly translated as “Joyful Hiking”) group which, over the past four years, has organized 100-plus free hikes, mostly on Friday mornings (the start of Israel’s weekend). All its hikes are accessible by public transportation. The majority of the hikers are immigrants, Polacco tells ISRAEL21c, although there are Sabras, too. Computer engineer Ronit Slyper, a member of Polacco’s group, was so inspired by the hikes she took with Mataylim be Sababa that she wrote a book. “Tripping out of Tel Aviv” lists short treks accessible by bus and train. There are 30 day-hikes included in the volume, which has colorful graphics indicating travel and hiking times, directions and maps. “We’ll get you there and back again, with plenty of time to get the kugel in the oven before Shabbat,” Slyper says. The book is available at Steimatzky and Tzomet Sfarim book stores in Israel as well as on Amazon. Romy Chillag is a licensed tour guide studying for her master’s degree in urban planning. She combines her two passions in Romy Urban Nature Tours focusing on the natural beauty lurking within our cities. 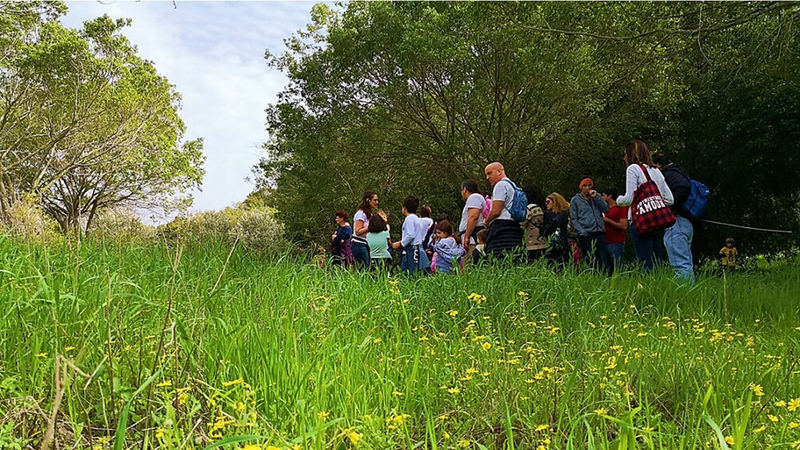 Chillag offers two tours, once a month or so (check the Facebook page for dates): one is in Tel Aviv’s Old North neighborhood, the other is to the open fields just beyond Ramat Aviv Gimel in Glilot. Chillag has an ulterior motive for giving her tours, which are free and operate on a tips-only basis: to generate greater awareness of the need to preserve green space within an urban environment. The Glilot area is slated to become a massive housing complex, for example, yet it “is full of flowers and ancient caves dating back to the Samaritan period,” Chillag tells ISRAEL21c. Romy Urban Nature Tours have been only in Hebrew up until now, but Chillag plans to add English-language outings after Passover. Like Chillag’s tours, Haifa-based New Age Trekking offers outings for free (with tips welcome) primarily to the Galilee and Golan Heights regions as well as the Negev desert (mainly in the winter). 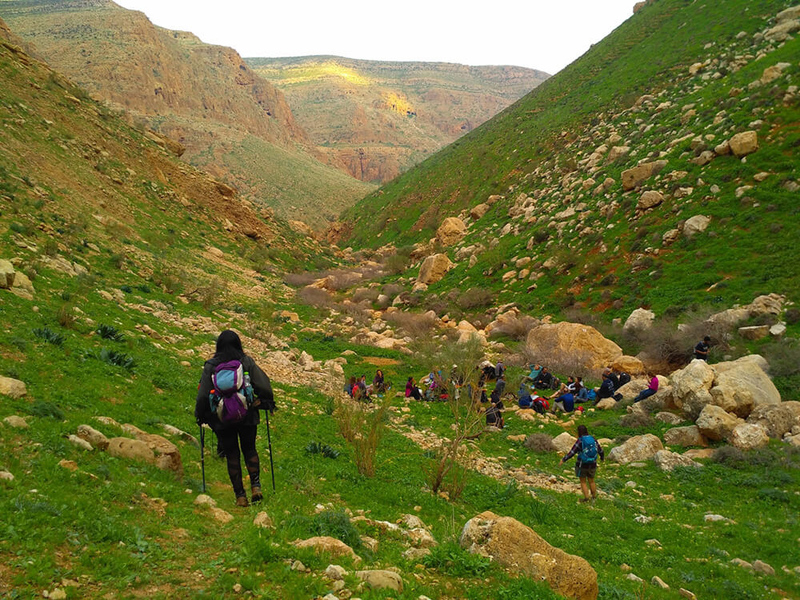 Operated by Ori Reiss and Idan Attia, treks take place every Friday, with some continuing over the weekend. If you have time for a more intense trek, the Israel Trail can’t be beat. Walk About Love organizes two treks, one in fall and one in spring, each lasting two-and-a-half months. Each group can take a maximum of 50 people. Everyone meets up at the campfire at night where the Walk About Love team is waiting with a trailer that’s transported your equipment for the day, mattresses for sleeping, musical instruments, firewood, charge spots for your cell phone, a portable truck shower and, of course, food. Meals are vegetarian; Shabbat is observed. Pricing is based on how many days you hike – from ₪190 for four days to ₪104 if you commit to the full 65-day trek. Private tours are also an option for groups of at least 15. New Age Trekking also has paid tours with a professional guide, transportation and food. If you’d like to put together a do-it-yourself group hike, there are plenty of resources online to point you in the right direction. 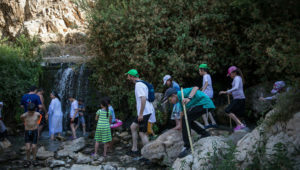 Start by checking out ISRAEL21c’s hiking guides: our top 10 list of the best hikes in all of Israel, our top 10 water hikes, our guide to the best hikes in the Jerusalem area, and descriptions of the coolest hikes around the Dead Sea. 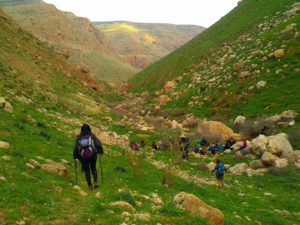 One of our favorite outside resources is Hiking in the Holyland, part personal blog, part hiking instructions, and growing rapidly with a new hike posted every week. It’s a labor of love from Susannah Schild, who provides detailed images, downloadable Google Earth maps and Waze instructions, all at no cost. “The site is designed to provide people with the tools they need to plan hikes on their own and to give them a complete picture of what each hike looks like before they head out the door,” Schild tells ISRAEL21c. An older resource, Attractions in Israel, is filled with good information we’ve used ourselves, but it hasn’t been updated in a few years. Tour Adumim offers hikes to Ein Mabua, the middle spring of the Ein Prat spring. If your Hebrew is good enough (or you don’t mind reading using Google Translate), Tiuli has detailed descriptions of dozens of hikes around Israel; the site is part of the LeMetayel chain of backpacking and outdoor supply stores. However you handle it, happy hiking!